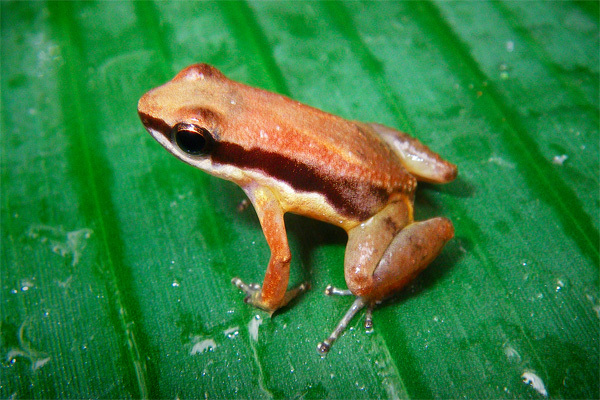 Scientists have described a new species of poison dart frog in the Iwokrama Forest. It is just the size of your thumb nail, and is only known from a small area of forest in the Iwokrama Mountains. Its latin name is Allobates amissibilis.